Temperatures pushed into the minus figures overnight on Wednesday night, with many places getting down to below freezing. Forecasters say the “Beast from the East” will continue to bring ice winds our way, adding to the wintry feel this week. Exacta weather forecaster James Madden said: “We are about to enter a much colder period of weather which will bring wintry showers to parts of the country. “This is going to pave the way for a much more severe cold spell during the final part of November when we could see more significant and widespread snowfall. “This could reach southern Britain and looking further ahead into December there are signals for a colder than average month. “There are likely to be some more potent and widespread snow showers during the run-up to Christmas some of which could be disruptive in nature. However the bitter weather may give way to wetter and milder conditions, as we head into the weekend. Showers will reach central and north-western areas later on Thursday afternoon. Drizzle and outbreaks of rain will be persistent in the north in the evening, and some heavy showers are likely in south and south-west England, with further dog overnight into Friday morning. During the day on Thursday, temperatures will reach the single digits on Thursday and 12C on Friday. Heavy showers will persist in the north, south and south-west England on Thursday evening. The Met Office has issued a yellow warning for rain for south-west England between 6am on Friday until 6pm on Saturday where as much as 50mm could fall in 24 hours. But things will then take a turn for the worse, and bitter winds will begin to sweep in from Siberia, with forecasters expecting temperatures in the minus double figures. 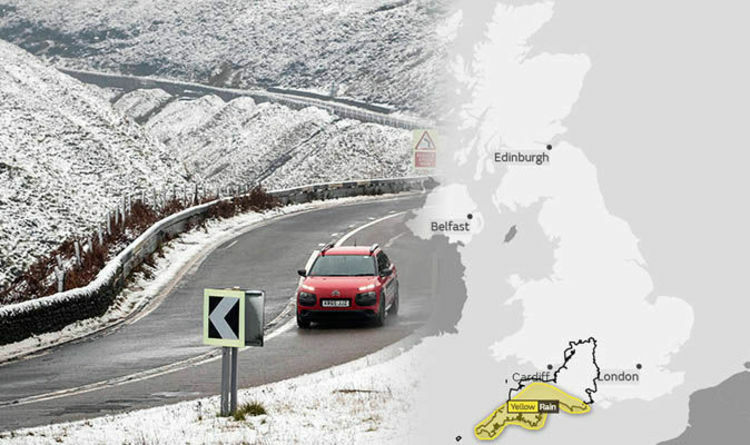 Temperatures have already plunged to -6C in some parts of the country. Ladbrokes have slashed the odds on this being the coldest winter on record. The bookies now make it just 5/4 shot (from 6/4) that winter 2018/19 enters the record books as the coldest ever. The long-range forecast means the odds of a white Christmas are higher.